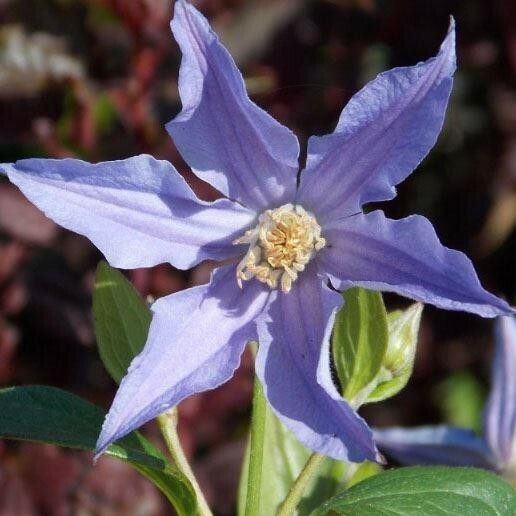 Clematis 'Blue River' has received much deserved praise over the past few years. This deciduous climber has beautiful, slightly nodding star-shaped flowers. They are a purple colour when first blooming and as they mature, develop into a violet-blue with purple bars. A striking variety of Clematis, this plant will look magnificent grown through climbing roses or shrubs and will add a long period of Summer interest to your garden. Plant in full sun, in well-drained yet moist soil. Supplied in approx 2-3litre containers.